Generating leads through your website combines many different aspects of digital marketing: web design, search engine optimization, content marketing, conversion rate optimization and more. But you don’t have to be an expert in any of these fields to generate leads with your website. Read on to learn how to give your website an immediate upgrade and start being a pro at online lead generation. Too often we see partner agencies with websites that aren’t built for lead generation – the primary purpose of a website. Business growth cannot happen without generating sales leads. So what is it about a website that generates leads? Here are 6 things you can do right now to generate more leads to your website. But first, a freebie. Though it’s something you have heard before: optimize your website for search. There are actually people who want to provide digital marketing services but don’t try to rank their own websites. Crazy, right? Optimizing for search is free and it’s the primary way to drive traffic to your website and get discovered by prospective customers. So use H1 tags, have a responsive website, write purposeful content to get qualified leads and all the other things you know you should be doing to rank in the search engine results. I won’t go into much detail about how to optimize your website because we have a great blog post all about it: Ramp Up Your Rankings in 20 Days with These Local SEO Fixes. This is almost as basic as optimizing your website properly. Your online business can have a stunningly beautiful website and unless it’s optimized properly, your prospective customers are not going to find it. But even if potential sales leads can find your poorly designed website, it’s just not going to affect your conversion rate because your target audience won’t care to stick around long enough to be converted, let alone become current customers. You’re not a web designer, you say? That is why our partners use WordPress. It’s easy to use, and, with a little patience, it’s easy to have a great-looking website that is ready to generate leads. Or you can let us build your agency website for you! Intuitive navigation – Don’t make your potential customers guess where links and buttons take them. Make it easy. Use images and whitespace – Pages with walls of text won’t convert. Put relevant images and use white space to break up the text. Make it look nice – Your leads will want to see a nice looking website before they give you their contact information. Have a clear purpose – Each page should serve a purpose aligned with your B2B marketing and business goals. Be responsive – Not much else to say. Your business leads are browsing with their phones. Website lead generation relies heavily on effective landing pages. Landing pages are pages built specifically for lead generation. However, visitors to your website may land on a blog post from organic search. These pages also need to be optimized for conversion – getting them to an actual landing page with a form in as few clicks as possible. Display trust signals – success stories, case studies, badges, etc. If your landing page was convincing and your future lead is willing to provide their contact information in exchange for the value you promised, don’t ask for too much. It would be great to know how much yearly revenue your leads make but do you need that at this point? A B2B company website designed for lead generation can convert a prospect into a sales lead in seconds. It will take days, weeks, or months to convert the sales lead into an existing customer. Sure, lead conversion and nurturing are easier when you have more information about them but, to get started, you really only need an email address. If you decide that you need more than an email address, ask for it. Just make it easy with big fields marked clearly. Now you’re well on your way to succeeding at inbound sales and maximizing your website for lead generation. 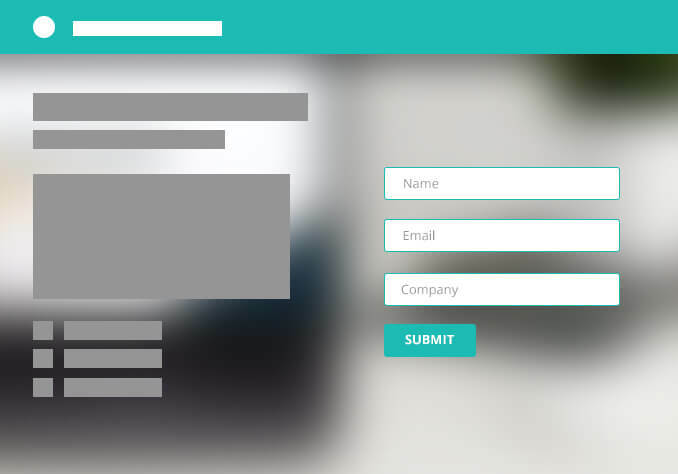 Your potential customers have filled out a form and they are officially business leads. It’s important that you deliver on your promise – immediately. In order to actually guide your leads through the sales funnel, the value you promised – the email, the download, the toolkit, etc. – must have real value and help business owners meet their own sales goals. You will still have their email after a disappointing downloadable, but they’ll be more likely to unsubscribe or mark your email as spam. And you can’t grow your business by not delivering on your promises. B2B lead generation is especially tricky because your clients are looking for value that they can pass down to their customers. Social proof and lead generation are old friends. Nothing communicates that your agency is the right agency for a business quite like social proof. Testimonials from your existing customers are an important part of B2B lead generation because they can ultimately lower the cost of your lead generation strategy – and minimize the amount of time it takes to convert your leads. As your agency focuses on local businesses, seeing that other local businesses trust your agency sends a powerful message. If you have done everything right up to this point, including optimized your website for lead generation, the leads should start coming in. But what are you doing with all their contact information? 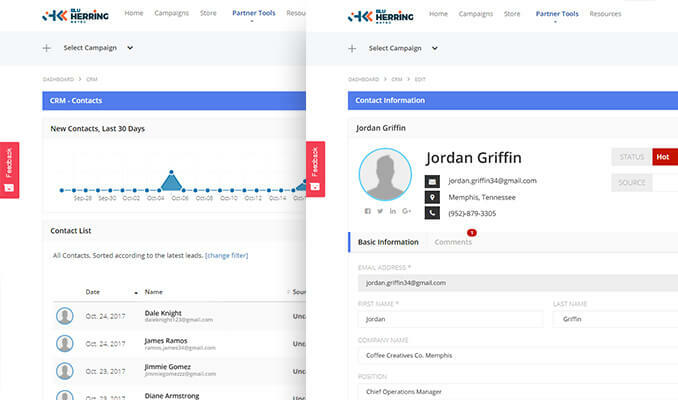 The key to successfully nurturing your leads is having them in one easy-to-use CRM. Bonus points for a free CRM that allows you to update lead status, send proposals, check the status of sent proposals and comes with marketing automation. Knowing where your leads are in the sales funnel at a glance can really help identify which of the previous 5 steps you need to adjust to generate more business leads. You can collect leads in our Partner CRM. Let’s end with another freebie – in terms of providing immediate value and converting leads for your business, there’s no better way than a free website audit that analyzes everything from technical elements, content structure, social media presence, keyword density, domain and page authority plus a lot more. Your agency can provide that now buy installing our WordPress Partner Plugin – the Partner Plugin is the ultimate lead generation tool and it comes with a lead tracker, web design portfolio and a white label dashboard that you can show off to your clients – with your agency’s brand.